“Some Hispanics may avoid seeking testing, counseling, or treatment if infected because of immigration status, stigma, or fear of discrimination. Additionally, traditional gender roles, cultural norms, homophobia, transphobia and other stigma related to substance abuse and mental health are challenging,” stated Guillermo Chacon, President of the Latino Commission on AIDS and Founder of the Hispanic Health Network. 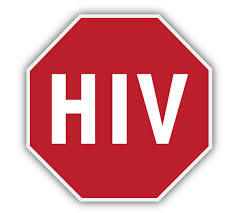 Though Hispanics are only 17 percent of the population, they make more than 23 percent of new HIV diagnoses each year. In 2013, Hispanics had the second highest rate of new HIV diagnoses compared to other races/ethnicities. It’s time for younger generations to get involved to stop HIV/AIDS. La Red Hispana is addressing the issue by working with its media affiliates nationwide — with an audience of 11 million people — to provide accessibility to resources via radio, digital and social media. We can stop HIV, one conversation a time. “We are convinced that information is a powerful weapon to dispel fears of HIV. As Latinos join the conversation about HIV, it becomes more natural to talk about a topic that was taboo for the community before,” said Alison Rodden, CEO of Hispanic Communications Network- La Red Hispana. Among the organizations joining HCN’s effort include AIDS Project East Bay, Latino Commission on AIDS, National Alliance of State and Territorial AIDS Directors, National Minorities AIDS Council, AIDS.gov and Health Initiative of the America part ofUniversity of California at Berkeley. Pinyon Foundation and HCN are members of the Partnering and Communicating Together to Act Against AIDS (PACT) initiative- a five-year partnership between CDC and organizations representing those affected by HIV/ AIDS. This entry was posted in In the News, stigma. Bookmark the permalink.